Are there more reactive dogs out in the world today? Reactivity can be an almost contagious behavior in a neighborhood, and sometimes trigger even more reactivity in the recipient dogs over time. 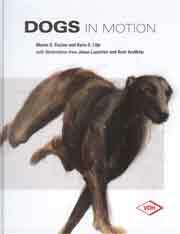 People with reactive dogs often seek the advice of a trainer, and are given behavior modification protocols. But wouldnt it be a better world if EVERYONE managed their dogs in publicreactive and non-reactive? GET BOTH DVDS FOR £3 OFF! 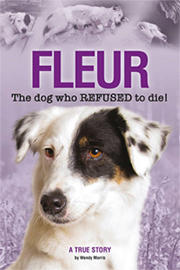 Presenter - Sue Williams CFBA MGODT - Publisher Pets On Film - Duration - 1 hour 27 mins. In this comprehensive film leading international dog trainer and behaviorist Sue Williams reveals the secrets to teaching your dog to come back when called. Easy to follow, step by step instructions , with real time demonstrations. Sue demonstrates her proven techniques with puppies, adolescent and adult dogs. You will learn the secrets to building a relationship which results in your dog loving to come back to you no matter what the distraction! 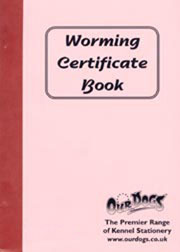 Ideal for all puppy and dog owners. 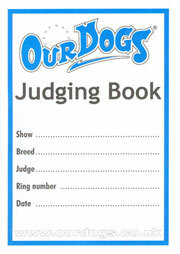 Bonus film included: Talk Dog  Learn how to communicate with your dog in a way that they will understand. Sue demonstrates just how easy it is to use her Science based conditioning techniques to create understanding between you and your dog. 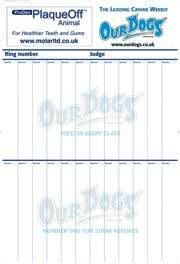 Sue is Chairwoman of the Guild of Dog Trainers, Britain's top professional dog training organisation. She uses her academic qualifications to underpin her work with dogs and their owners. Sue is a specialist in operant conditioning and its uses in training and behaviour modification. She runs regular courses in the science of operant conditioning and its practical application in communicating with animals particularly dogs and this is exampled through her television work with the BBC, ITV and numerous production companies. The Science of Operant & Classical Conditioning. 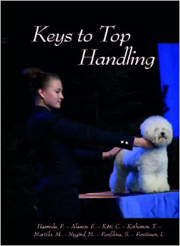 Puppy Training - building a strong foundation in the essential obedience skills. 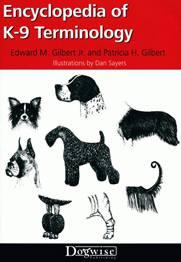 How to condition a dog using Classical and Operant conditioning. 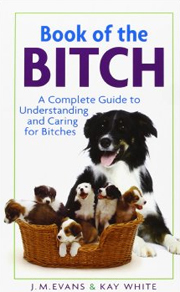 Teaching dogs how to learn. 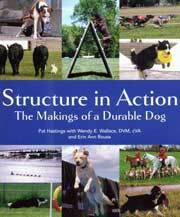 Expanding a dogs knowledge using communication & understanding. 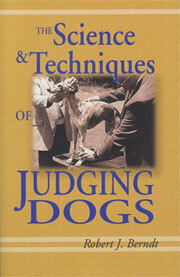 The Cheshire Dog Display Team and examples of other animals Sue has trained using her methods. 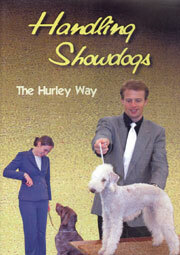 Stephen G King has produced a practical DVD gide to fun, force-free training for dogs that really work! 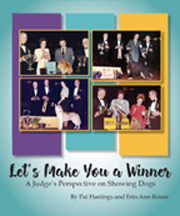 This essential DVD demonstrates how teach your dog to do just what you want it to! Find out how to teach your dog all the basic obedience commands with great results and learn how to stop problems developing in the first place. Does dominance really exist and how does it impact the relationships between dogs and dogs and people and dogs? 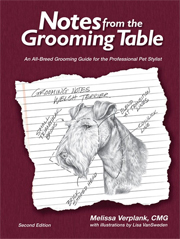 Do you have to be "dominant" over your dog to ensure that she is well trained? Watch Jean Donaldson and Ian Dunbar take on the controversial and often misunderstood concept of dominance behaviour in dogs. Do dogs really try to be "the boss"? Learn what science knows, and doesn't know, about canine behaviour. Brenda Aloff is a professional dog trainer, seminar presenter, and author of Aggression In Dogs and Canine Body Language. 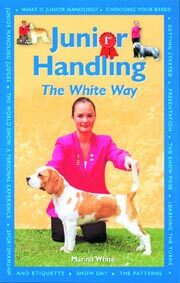 Promote a great relationship with your dog, establish consistent behaviours for easy, reliable handling and lay the foundation for more advanced training with this great DVD. 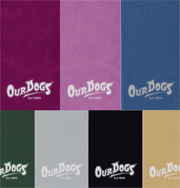 Whether youre working with a young puppy or an older dog, this is the perfect tool for the professional trainer or the motivated owner. 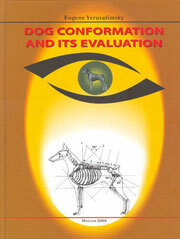 Colin Tennant explains how your dog's mind works. Dogs which solicit attention by barking, pawing, whining, jumping on, mouthing and constantly being disruptive and mad about the house are discussed in this video by their owners. Colin then demonstrates how to take complete control and restore harmony to the household. If you suffer from your dogs behaviour, his advice could help you to solve your pets problems for a happier life together. 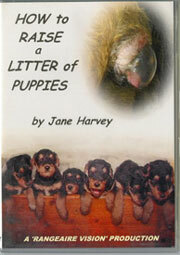 Birth - the First 7 Weeks - New Accomodation - Puppy Classes - Clipping and Worming - Confidence Training. HOW to start training a sheepdog. WHEN to start training a sheepdog. WHERE to start training a sheepdog. 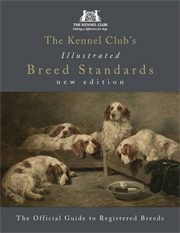 WHAT it is about border collies that makes them ideal for herding sheep. WHY sheep are so suitable for management with dogs. Unlike any other herding dog training programme you've ever seen before, "First Steps in Border Collie Sheepdog Training" clearly guides you through the most difficult period even if you're a complete beginner. It's the first sheepdog training video to explain simple but vitally important factors so often left out of books and other training programmes. When you train a sheepdog, things sometimes go wrong, so that's what the DVD shows you - and then demostrates how to correct those faults. Sheepdog training as it REALLY IS. Paul Rawlings - Runing time - 88 mins. 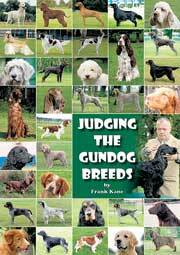 This new DVD is a step by step guide to training a gundog of any breed. 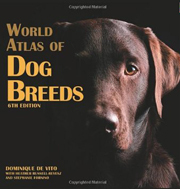 Contents include Puppy rearing and assessment, Formal training, Retrieving, Hunting, and Preparation for the shooting field and much more.